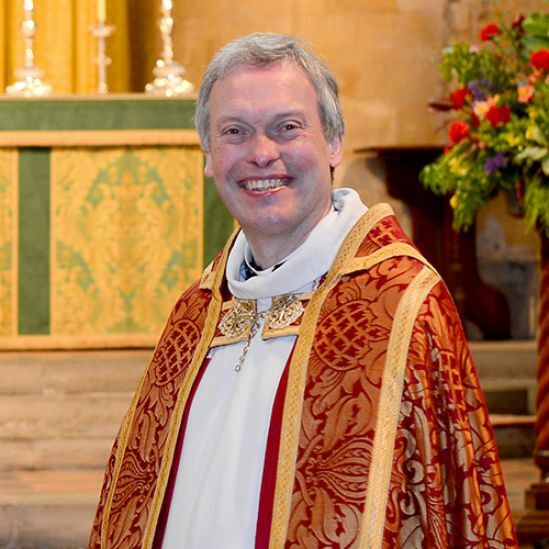 The Rev’d Canon Paul Williams is Vicar of Tewkesbury Abbey and is a member of Council of Dean Close School, Cheltenham. He is also a member of the College of Canons of Gloucester Cathedral and Sub-Dean of the Most Venerable Order of St John of Jerusalem. Paul read theology at St Andrews University in Scotland and undertook further theological studies at Selwyn College, Cambridge where he was also Assistant Chaplain. He trained for the priesthood at Westcott House, Cambridge. After leaving Cambridge, Paul served a curacy and an incumbency in the Medway Towns before becoming Personal Chaplain to the Bishop of Rochester. Paul is a Fellow of the Royal Society of Arts, a member of the Royal Historical Society and a member of the Ecclesiastical History Society. He is a published author and is currently pursuing a course of research under the auspices of the Archbishop’s Examination in Theology, Lambeth Palace. Paul is married to Catherine, also a priest, and has two children, Alice and Harry.